What is your reading of the developments across Europe and the economic data from China? 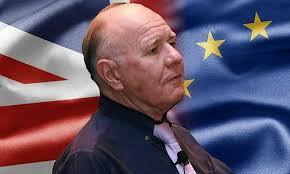 Marc Faber : Today, Britain is completely irrelevant for the world economy. It contributes less than 4% of the global GDP and is a very small manufacturer. What is relevant for the world are growth rates in China and India. A number of analysts fail to understand that if India gets its act together, then it could have a growth rate of maybe 5% per annum. -- Dr Marc Faber told India's Business Standard.